In this workbook you will get to the core of your own story. Knowing your story clears up the fog clouding your head, giving you clarity, insight, and intuition so you can solve your toughest challenges. Throughout this in-depth workbook you will uncover your values, motivations, strengths, you’ll reframe your challenges, set goals, and create an action plan towards living your best life. Breakdown your big projects (or lengthy to-do list) with this template. Group your items together by category and watch how efficient you’ll become. Jot down the problem you are trying to solve up top. And then in each blue box, write down ideas that come to mind, and underneath, free associate new words related to those. We all have that long list of things to-do, that never seems to shrink. 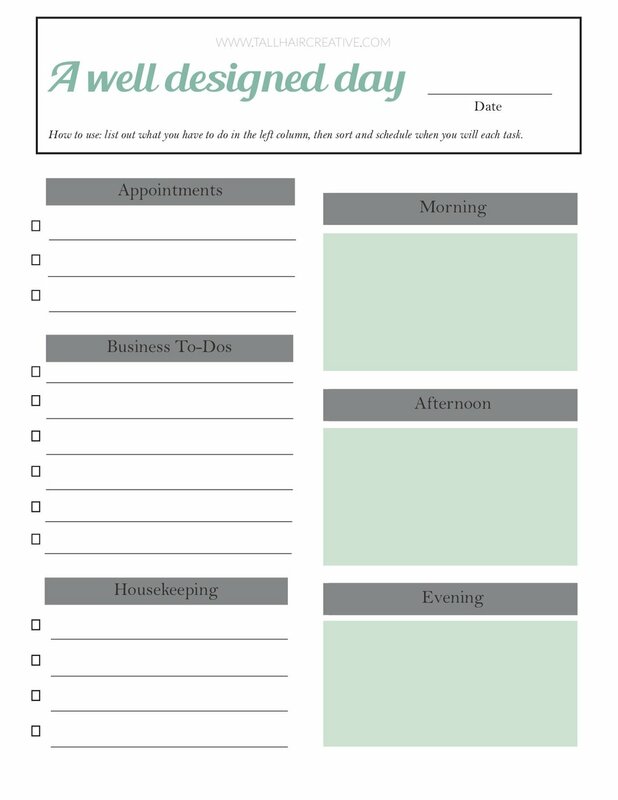 This printable will help you list out all of the items you need to do, in all areas of your - and then figure out when you will do the tasks. Plan out what you have to do by category, i.e. housekeeping, work, school, side-hustle, self-care. Use this printable to list out everything you have to do for a project. Tip: get specific with each line item. Have 163 things on your to-do list? SAME. 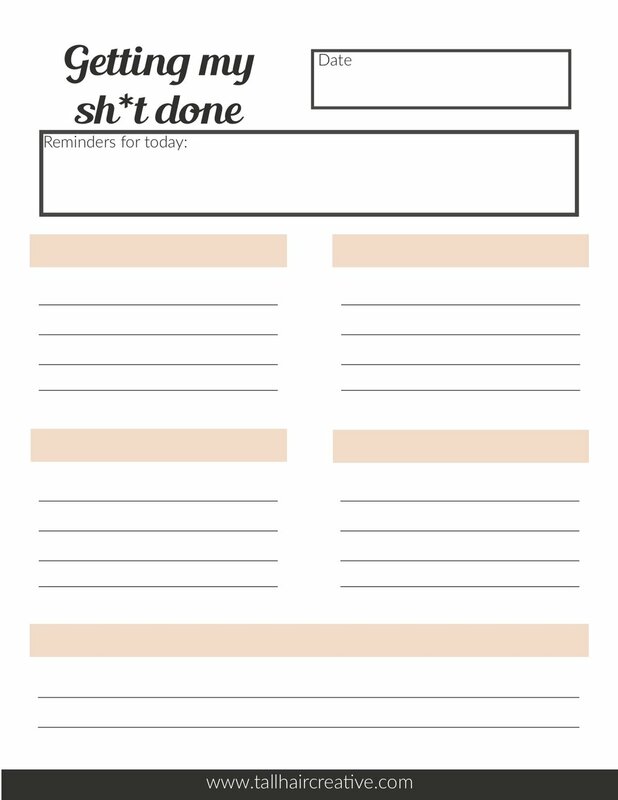 This template helps you prioritize what to get done today.